The word ‘archaic’ derives from the Greek arkhaios, which in turn is related to the word arche, meaning ‘principle’, ‘origin’, or ‘cause’; the notion of ecstasy, or ekstasis,implies standing outside or beyond oneself, a self-transcendence. How these two concepts are articulated and co-implicated constitutes the core question underlying this edited collection, which examines both the present day and antiquity in order to trace the insistent presence of the ecstatic amid the archaic. Presented in three parts, the contributors to this diverse book take the concept of the archaic in an entirely new direction. Part I, 'Ecstasy and the psychological', covers topics including Jung, Freud, ancient psychotherapy, desire, and theatre. Part II, 'Ecstatic-archaic history', considers Ludwig Klages, Orestes and Dionysus. Finally, Part III, 'Ancient ecstatic in other worlds', examines Luo Guanzhong’s Three Kingdoms and Enki at Eridu. The collection offers a distinctive contextualisation of the dimension of the archaic in relation to the ecstatic experience. 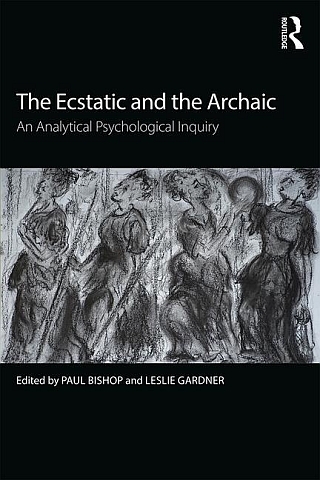 The Ecstatic and the Archaic will appeal to readers interested in the relationship between ancient and postmodern worlds, and in how the past manifests itself in the present. It will be of great interest to academics and students of Jungian and post-Jungian ideas, classical religions and the history of ideas, as well as practitioners of analytical psychology and psychoanalysis. Paul Bishop is William Jacks Chair of Modern Languages at the University of Glasgow, UK. His previous publications include On the Blissful Islands, Analytical Psychology and German Classical Aesthetics, volumes one and two, and, as editor, The Archaic: The Past in the Present and Jung in Contexts: A Reader (all Routledge). Leslie Gardner is Fellow at the Department of Psychosocial Studies, University of Essex, UK, and author of Rhetorical Investigations: G.B. Vico and C.G. Jung and co-editor of House: The Wounded Healer on Television (both Routledge). Gardner co-founded the International Association of Jungian Studies and established the International Journal of Jungian Studies.